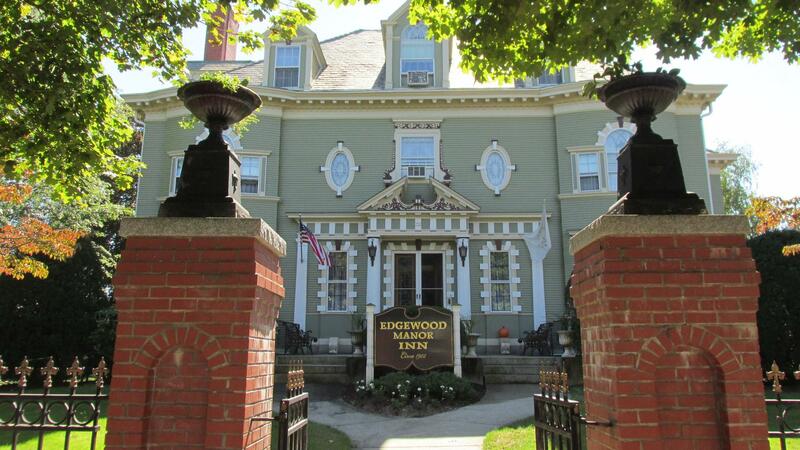 Rent Edgewood Manor Inn | Corporate Events | Wedding Locations, Event Spaces and Party Venues. Greek Revival Colonial Mansion built in 1905 for Samuel Priest. Elegant and stunning architecture. Over an acre of lush grounds within the Providence city limits. 18 available guest rooms all with luxurious baths. Available for weddings, functions, private and corporate events. Four miles from the airport so easy access in and out of Providence.